Park, originally uploaded by c_p_lew. I was hoping to get up early enough to go for a walk this morning. Everything conspired against me, so after a morning of meetings, I drove back to my office and walked from there to a restaurant for lunch, taking photos along the way. This park across the road from Haw Kham, the presidential palace, and very close to my office. 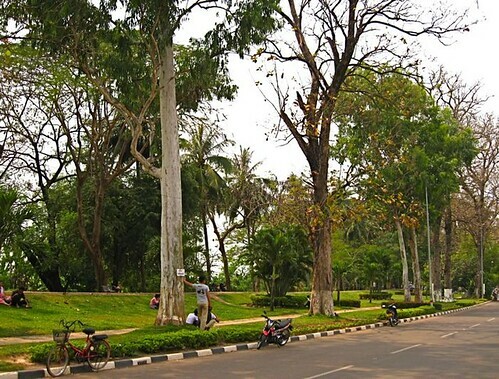 It has a distant view of the river, across the tip of Don Chan Hotel, but it becomes more of a riverside park during the rainy season.